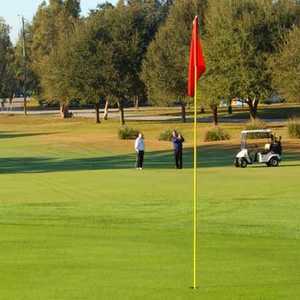 TAMPA, Fla. -- Babe Zaharias Golf Course isn't simply about golf. The track is in fine shape for a public course, but you get a sense of history before you even hit the first shot. 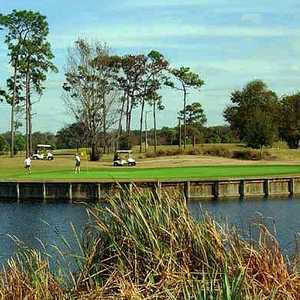 Babe Zaharias Golf Course is one of the true bargains in the Tampa area. Zaharias was arguably the greatest female athlete of all time. She won two gold medals and one silver medal in track and field in the 1932 Olympic Games. She also was a famed diver, and she played softball, baseball, bowling, tennis and billiards. It wasn't until late in her life that she became a competitive golfer, then went out and took five major titles, 17 amateur titles and was a founding member of the LPGA. There's a lot more to Zaharias than that, but one of her main legacies is the Tampa golf course she bought late in her short life. She died of colon cancer in 1956 at the age of 45 and after her death, the course was sold and forgotten until the City of Tampa reopened it in 1974 under the current name. It has since been accorded historical landmark status. Enough history. The golf course today is one of three courses run by the Tampa Sports Authority. It plays to 6,020 yards from the tips, but that doesn't make it easy. Trees on both sides line almost every hole and few holes play straight. Work on the long irons before teeing it up because a driver will be too much on most holes. 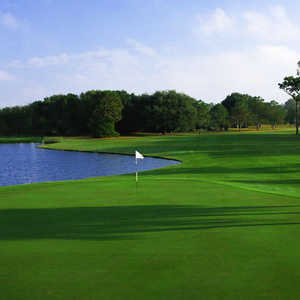 The course itself offers a different look on all 18 holes with the trees everywhere, water on six holes and tight greens. "We have a lot of tradition here and we have a very traditional course," said Laura Beuhring, the head professional at Babe Zaharias. "No two holes are exactly the same. It isn't the typical municipal course." It is also a great course for beginners. With four sets of tees, the forward ones play to 4,808 yards and only two tees from the front play to more than 400 yards. You can learn a lot about the course on the first hole. It's a 330-yard par 4 that has water on the right halfway down the fairway. Bombers can get past it, but it isn't really worth the risk. Playing it safe can still lead to an easy approach without starting the day with a big number. Three of the first four holes are some of the easiest on the course, but things start to get tricky around no. 6, a 481-yard par 5 that is by far the longest hole on the course. Water fronts the green, with trees in the back, so going for it isn't worth the risk. No. 8 is a 151-yard par 3 that requires a carry over a large pond and there is no layup area. It leads to an uphill sloping green that is surrounded by bunkers. The back nine is longer and the fairways are tighter. No. 13 is the toughest hole on the course, a 430-yard par 4 that takes a wicked dogleg left and leaves an approach over water that fronts the green on all sides. Trees are all around the back, so the approach is crucial. No. 16 is another dogleg right, but the landing area off the tee is extremely tight and bunkers front the green. A perfect tee shot makes the approach workable, but the green is small and undulating. You don't hear much about Babe Zaharias Golf Course, and that's too bad. It isn't long, but it's a great course for beginners and also a great history lesson for young girls getting their start in golf. The course is tight, challenging and worth every dollar.